The city of Saskatoon in the province of Saskatchewan is a melting pot of different cultures, and is also known as the ‘City of Bridges’. The attractive city offers an abundance of great adventures for newcomers. The city of Saskatoon in the province of Saskatchewan is a melting pot of different cultures, and is also known as the ‘City of Bridges’. Saskatoon lies on the banks of the South Saskatchewan River with wide tree-lined streets in the midst of vast parks and green spaces all around. The opening of the railway in 1908, the entire region saw a huge influx of new immigrants, the result was that many people of different nationalities moved to the region, such as Germans, Scandinavians, Ukrainians, and Britons have all contributed to the development of the town and the province of Saskatchewan as a whole. The attractive city offers an abundance of adventures such as canoeing along the river, bike riding, golf, tennis, skating in the Cameco Meewasin outdoor skating rink, or hiking the trails at the Beaver Creek Conservation Area or taking a walk along any of the nearby provincial parks. With long hot summers and winters that will keep you moving the city of Saskatoon has numerous attractions for everyone. Located nearly three kilometers north of Saskatoon Wanuskewin Heritage Park, the name derived from the Cree word meaning “living together in harmony”. 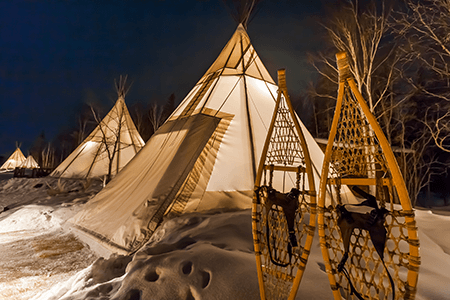 The non-profit cultural and historic center of the First Nations aims to encourage a better understanding of the Indigenous people who settled and lived in the region during earlier times. The park is the site of some exciting archaeological discoveries, with some dating back at least 6,000 or 7,000 years ago. Among these historic archaeological discoveries is a “medicine wheel” which is estimated to be about 1,500 years old. Consisting of a central cairn enclosed in a ring marked by three smaller cairns that hold it in place. Wanuskewin Heritage Park is not under provincial, federal or municipal management or authority, rather it is a stand-alone enterprise under the provincial government’s legislation as per the Wanuskewin Heritage Park Act of 1997. The operating income of the park comes from a variety of sources, mainly grants, park revenues and donations. The largest of four Canadian Western Development Museums that authentically recreate and document the history of the Canadian west, we highly recommend that you visit it as you are guaranteed to be taken back by its simplicity yet with an original feel of its surroundings. A Boom Town in the early 1900s, the reconstructed main street is a typical prairie town, lined with old-style shops, that includes a Chinese shop and barber shop, a church, fire station, a railway station and other buildings from the old times. There is also a jaw-dropping collection of priceless vintage cars and ancient tractors, making this a place that really warms the heart. The Ukrainian Museum of Canada is dedicated to the many settlers who came here from the Ukraine and contributed in no small terms to the city’s and country’s development. There is plenty of craftwork on display such as embroidered fabrics, wood carvings, traditional items of a religious kind (such as decorated Easter eggs), and ceramics. The Ukrainian Museum of Canada is perfectly situated overlooking the South Saskatchewan River and in one of the most vibrant parts of downtown Saskatoon. In the summer, this part of town along the river bank is a hub of many different heritage sites, arts, and cultural events. The University campus is a vibrant intellectual and cultural hub in the city that oozes class and strong appeal. There is the restored and renovated Victoria School dating back from 1905 which was Saskatoon’s very first school at the time. 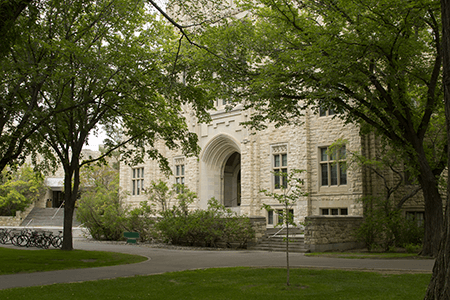 Built in a very authoritative collegiate Gothic style, the universities Peter McKinnon Building is national historic site and the centerpiece of the university campus. There is also an observatory, sculpture garden, and theater at the renowned university. Visitors can also take a stroll around the university campus especially "the bowl" which provides a 360 degrees view of the university's architecture. Also, present on the site is the famous Synchrotron, located in the Canadian Light Source facility where many scientists from around the world have researched and studied. The Saskatoon Forestry Farm Park & Zoo has settings that are fairly identical to the natural habitats of more than 90 species of birds and animals, from Capuchin monkeys to gray wolves. There is a tropical fish display with nature walkways that wind their way through the zoo, which is a non-profit, volunteer-driven organization. Much of the Zoos funding comes from donations, grants, sponsorships, and special fundraising events. The city of Saskatoon is never short of honoring and celebrating its roots and encourages visitors to celebrate with them. Whether you’re an action seeker, nature lover, history buff, or an architectural enthusiast, Saskatoon has something for everyone. You don’t just visit, you live it!